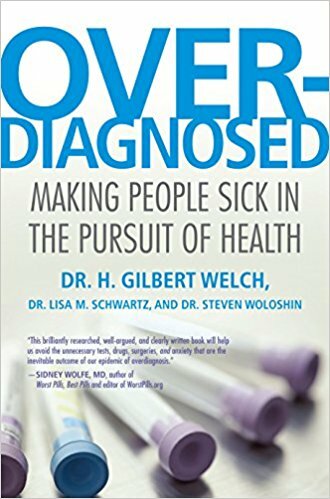 Ahwatukee StrengthLab Personal Training 480-612-7726 » Finished Reading: Overdiagnosed, Making People Sick in the Pursuit of Health! 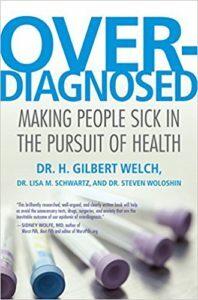 Finished Reading: Overdiagnosed, Making People Sick in the Pursuit of Health! A complex web of factors has created the phenomenon of overdiagnosis: the popular media promotes fear of disease and perpetuates the myth that early, aggressive treatment is always best; in an attempt to avoid lawsuits, doctors have begun to leave no test undone, no abnormality overlooked; and profits are being made from screenings, medical procedures, and pharmaceuticals. Revealing the social, medical, and economic ramifications of a health-care system that overdiagnoses and overtreats patients, Dr. H. Gilbert Welch makes a reasoned call for change that would save us pain, worry, and money.